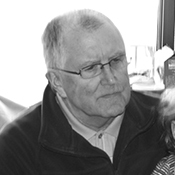 I am grandfather (71) and primary caregiver of two beautiful special needs girls. Haley is six and has a rare genetic disorder called CDKL5, and, in all likelihood will never walk or talk. Emily is 2 and lost all but 10cm+- of her small intestines and a portion of her large intestines at 2 days old. This ranks her as one of the more severally affected short gut syndrome children. To live she requires a permanent IV line, a tummy tube and an ostomy bag. I am a retired expert witness who had a nationwide practice specializing in state and local government finance and public sector labor economics. MD’s have a saying, “when you hear hoofbeats, when you turn around, don’t expect to see zebras”. That propensity often means rare diseases get overlooked for years. In fact the average time to get a rare disease diagnosis is over seven years, after having seen over 8 MD’s and enduring unnecessary and possibly damaging care. *Rare and genetic diseases affect 1 in 10 Americans, 30 million people in the United States, and 350 million people globally. Over 7,000 distinct rare diseases exist and approximately 80 percent are caused by faulty genes. The National Institutes of Health estimates that 50% of people affected by rare diseases are children, making rare diseases one of the most deadly and debilitating for children worldwide. It is estimated that 95% of all rare diseases do not have a single FDA approved drug treatment, and there are currently less than 400 treatments approved by the FDA for the nearly 7000 rare diseases which have been identified. According to estimates from the NIH, it will take 10,000 years at the current rate of FDA drug approvals to find therapies for all people suffering from rare and genetic diseases.